Journeyman Electrician exam is an exam conducted state wise to determine the knowledge and skills of an individual to work as an electrician in a particular state. 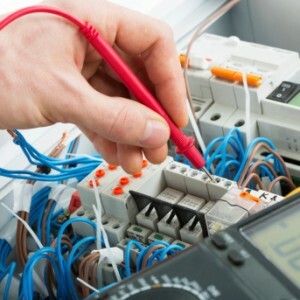 The exam is mainly based on National Electrical code (rules and regulations of electrical wiring and installations) and basic electrical theory. It tests how well the individual understood the code and the knowledge possessed by the individual to wire and operate the electrical equipment. The journeyman electrician should properly install electrical wiring and equipment so that the completed installations will be safe, economical and convenient. The licensed journeyman electrician can do the electrical work under the general guidance of master electrician. The journeyman will become master electrician after the experience of six years or more. He has to attend the classe in the educational institutions and must pass an exam as a master electrician. The electrician journeyman test consists of one or more multiple choice questions on various sections of National Electrical Code and on some basic electrical devices and equipment. Here the site consists of various practice tests to practice and test your knowledge on NEC code standard and basic electrical engineering. These tests helps an electrician to self analyze that how well that he understood the NEC code and the requirements of the code to install and operate the electrical equipment safely. Each journeyman electrician test consists of 10 to 15 questions with answers. There will 3 to 4 objective answers which promts you to check one as answer. Once the answer has choosen click on check button which shows correctness of the answer checked. If the answer is wrong it displays the correct answer with proper explanation. Try all the electrical practice tests that are in the portal to get the confidence. Some electrical code questions needs deep understaning of code and some calculations. Practice all of them. The journeyman electrician tests depicted in the portal completeley free.